The past, present and future all spell trouble for Wolverine! First, Gabby makes a shocking discovery about earlier events and turns to the only person she can trust: Deadpool?! But will Wade Wilson help Gabby on her mission of vengeance, or will he only make matters worse? Then, the Orphans of X return - but why? And can Wolverine survive another run-in with her deadliest enemies? Finally, what will tomorrow bring for…Old Woman Laura? Years from now, Laura is living in a utopia where super heroes have ushered in worldwide peace. 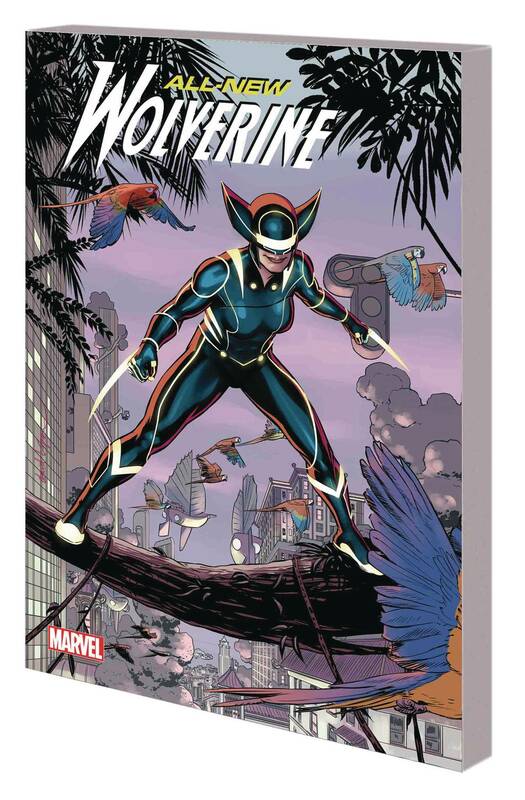 She is Wolverine no more - instead serving as Madripoor's benevolent queen! So what simmering evil could force her out of retirement and back in the blue-and-yellow for one final battle? Collecting ALL-NEW WOLVERINE #31-35. Rated T+.